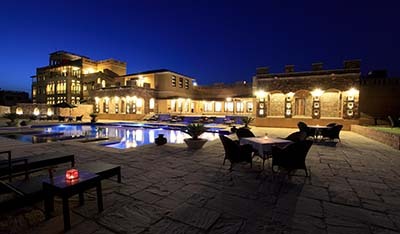 It's the only Boutique property in Ranthambore, Sawai Madhopur, Rajasthan, India and one of the best luxury hotels in Ranthambore, Sawai Madhopur, Rajasthan, India, conceptualized with the “Green Building Model” which is eco-friendly in its nature and has been crafted with the recycled material. With versatility in our concepts and ideas, we have also applied our finest technology, supreme material, unparalleled designs and latest techniques available. 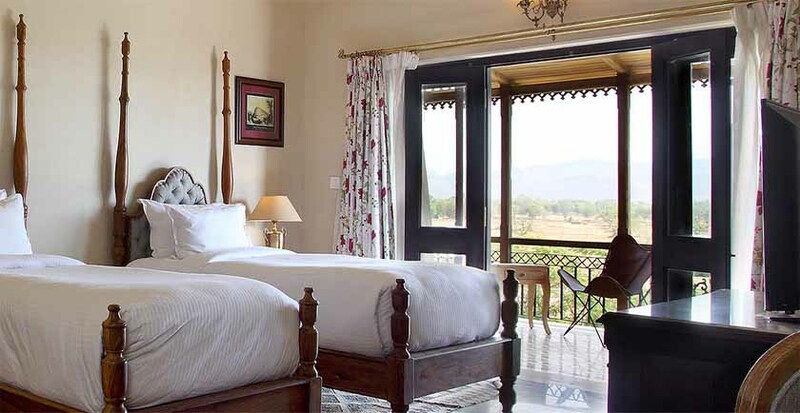 At The Juna Mahal, your rest experience begins and ends with a suite. Welcome to “Juna Mahal” - one of the best luxury hotels in Ranthambore with modern amenities and swimming pool / one of the best luxury resorts in Ranthambore with modern amenities meeting 5 star hotels standard and swimming pool - your ideal destination for a perfect vacation! 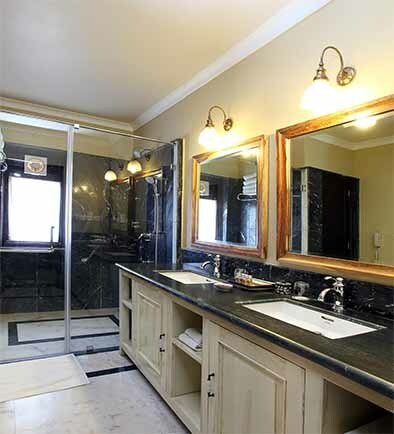 Nestled amidst acres of tranquility and solace of Ranthambore, it is adorned with all comforts of modern living and pampers you with a style that is truly grand. 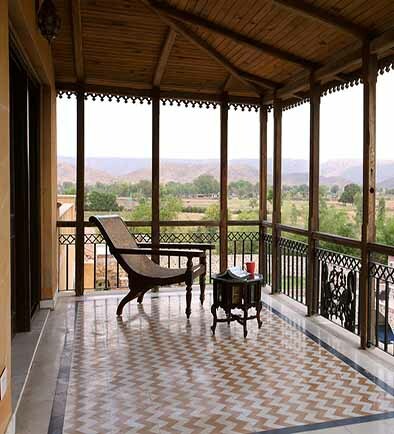 We welcome you to the space that offers the pleasure of contemporary style along with the fusion of architecture which is a traditional designing style of a grand Haveli, the antique wooden tailored pillars coupled with the old style stone work and beautifully adorned textured walls. With the majestic view of the Aravallis, neighboring the Ranthambore National Park, encircling you, one could experience a serene and an exotic ambience striking a perfect balance with nature. The freshness of air, stillness of water and openness of space is blended with the fine mix of Hospitality, functionality and style, “Juna Mahal” is a heaven of comfort and opulence for your family encompassing green surroundings. Experience wildlife and nature with jungle safari in Ranthambore National Park sanctuary forest in jeep / gypsy or canter. Special spaces with luxury and elegance are all served on a silver platter. The inhabiting expanses encompassing of deluxe rooms, suites& villas are so right, they are like a work of art. Each of them is designed to make every entrance something special, the tent style conical roofs with an exceptional collection of other fine features graces your stay at Juna Mahal. Stylistically, it combines the traditional craftsmanship and technique with the elements of modern design. These modern structures are aptly fitted into the town's historic scale and design. The design spans and expands on a century of modern yet vintage styled architecture. 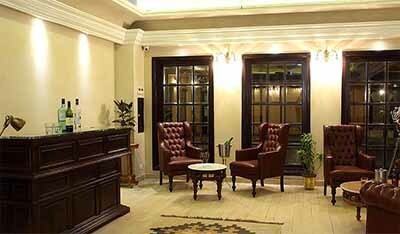 The rooms are immaculate, with pretty furnishings and grand interiors making your stay even more tasteful.